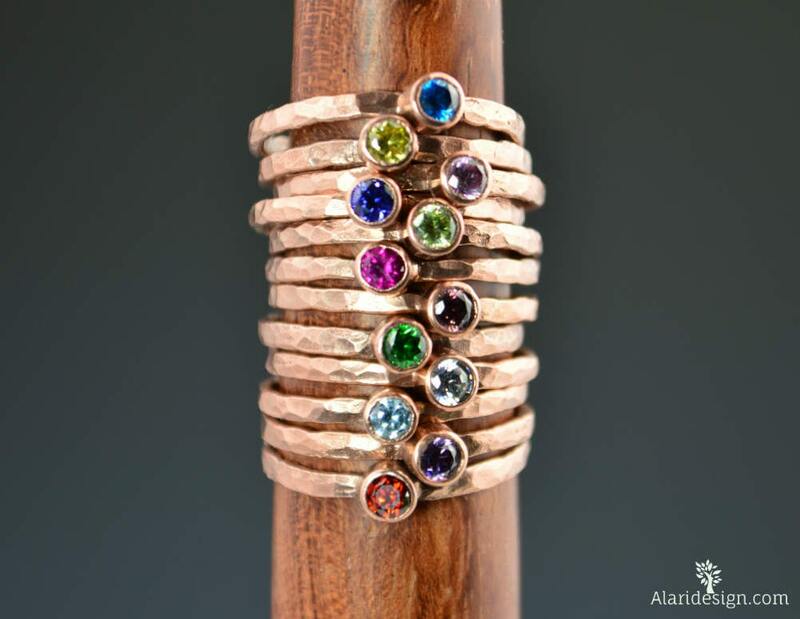 Copper jewelry has a very bohemian vibe to it and is a beautiful addition to any outfit. 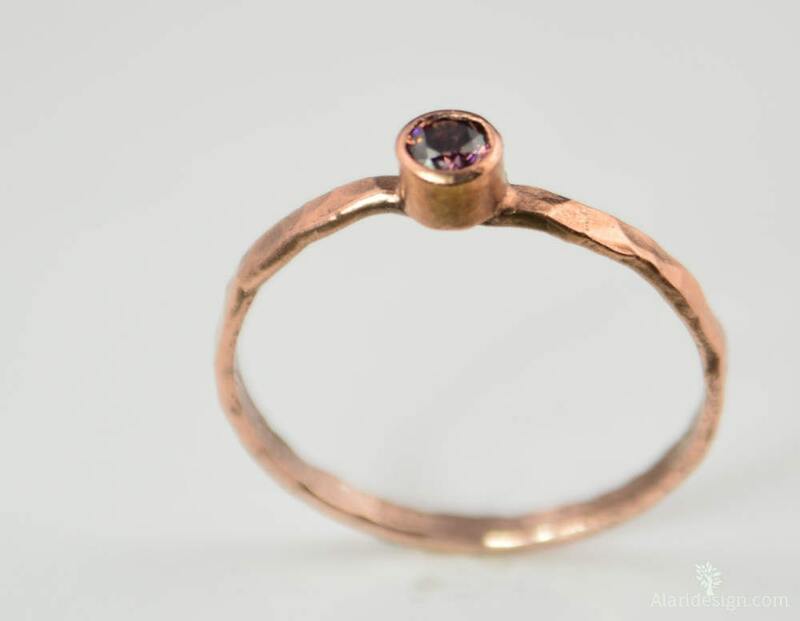 Whether you are looking for an everyday accessory or the perfect special occasion accessory, or wish to wear copper for medical reasons these rings are the perfect accessory for you! I waited until the last minute to order these for my mom's anniversary gift, and the seller made sure that they were sent to me ahead of schedule. The packaging was very nice and the product was beautiful. My mom was elated when she got these. Would definitely order from this shop again. Very unique pieces. 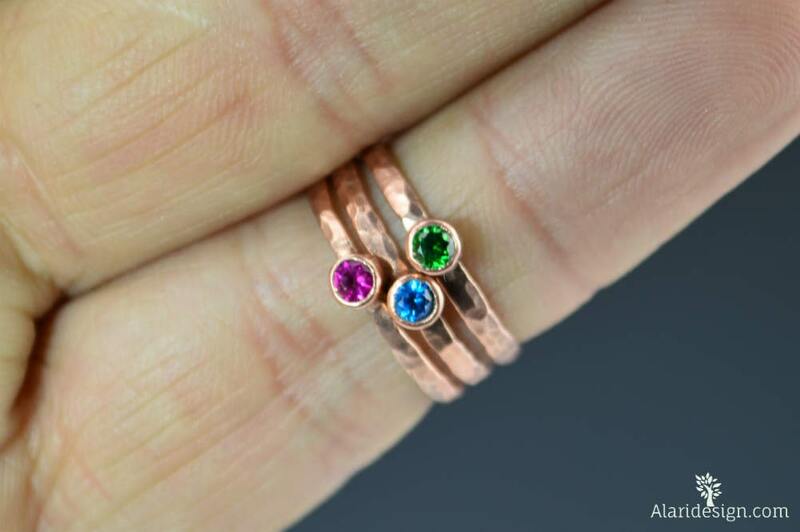 These birthstone bands are absolutely beautiful, and go perfectly with the two thin bands I purchased from you also. Love them! Purchased these for my mom for Mother's Day. Very nice quality and color. I'm sure she will love them!